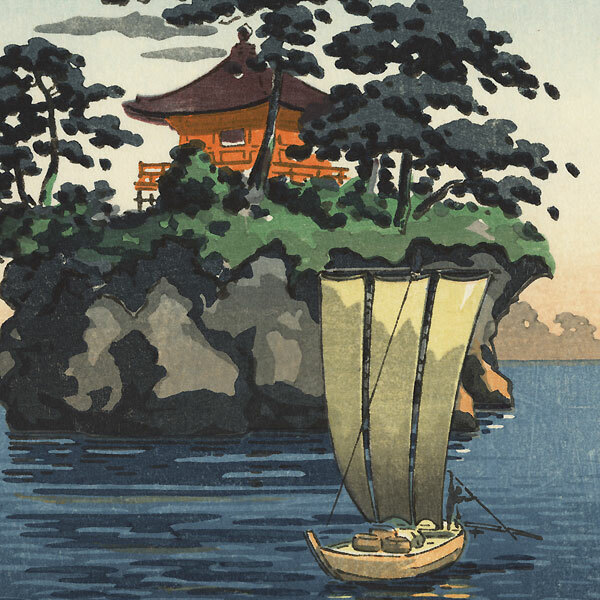 Tsuchiya Koitsu - After moving to Tokyo at age fifteen, Koitsu studied for many years with the woodblock artist Kobayashi Kiyochika. 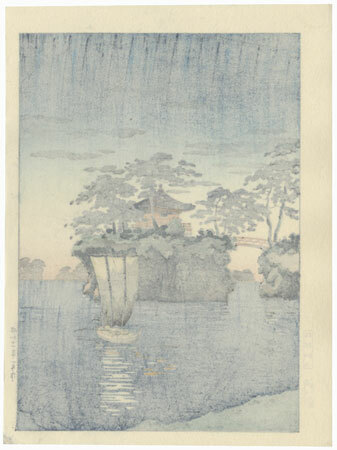 Known for his beautiful landscape prints with a dramatic use of light and shade, Koitsu was one of the leaders of the shin-hanga or new print movement in 20th century Japan. 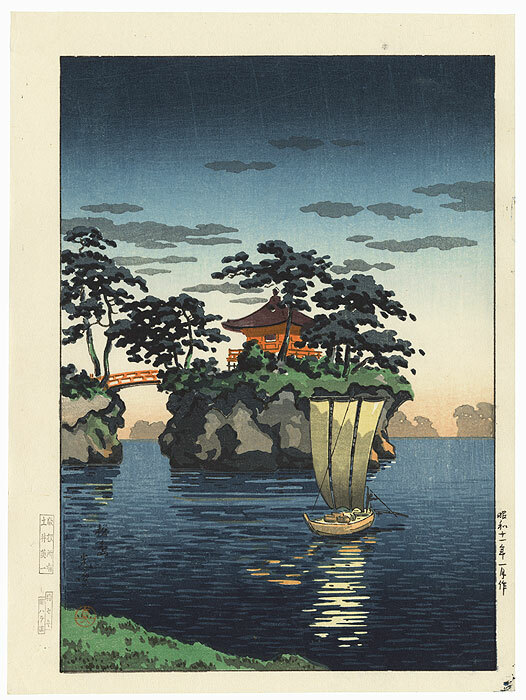 Comments - Handsome view of Godaido Temple on one of the islands in Matsushima, a group of hundreds of small islands dotted with pine trees. A red bridge leads to the island with the red shrine building beneath the pines. A boat sails past below and a warm orange glow spreads along the horizon as the sun sets, the clouds in dark shadow above. An attractive design.